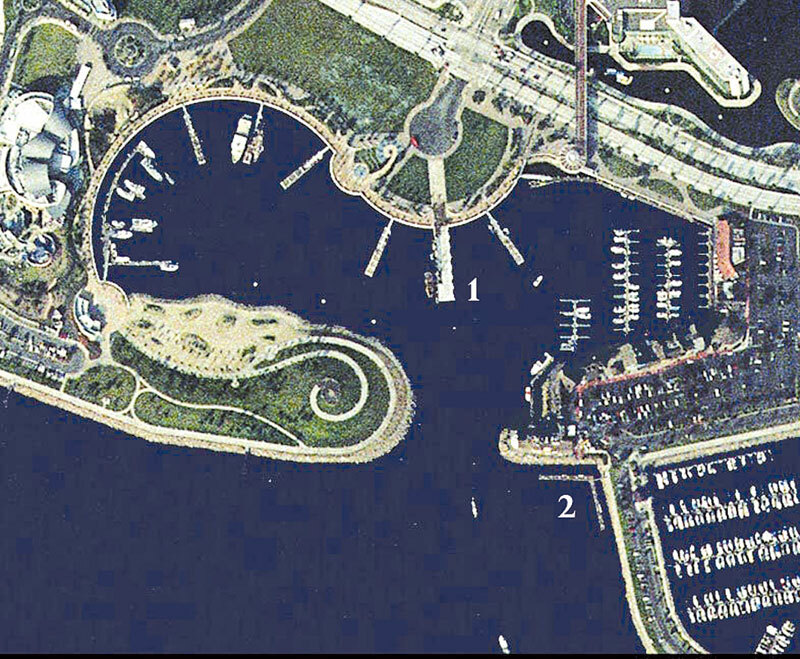 LONG BEACH — Boaters visiting Long Beach’s Rainbow Harbor or Shoreline Marina may find more places to tie up soon, as additional public dock space was approved at two areas by the California Coastal Commission at its April 11 meeting. The first approved addition will provide 300 linear feet of dock space added to Rainbow Harbor’s Pine Avenue Pier in downtown Long Beach. The site currently contains public transient dock space on its west side, and the proposed plan will add floating docks to the east side and at the end of the pier, accessible by the current gangway. Long Beach Marine Bureau manager Mark Sandoval said the floating docks require no new piles to be driven. They will act as a temporary addition to the area until funds for a more permanent dock structure become available. For now, the city will be recycling the floats from the old long dock that was used at Long Beach Yacht Club in Alamitos Bay, and will move them to Pine Avenue Pier. The floating dock was no longer needed at the yacht club, as new docks at Basin 4 in Alamitos Bay have just been completed as part of the $98 million Alamitos Bay rebuild. Signs will be posted to designate the new dock for public use, with a three-hour time limit. The dock is expected to be operational this summer. The Coastal Commission also approved replacement of the L-shaped 313-foot public dock at 435 Shoreline Village Drive — next to Shoreline Marina — with a 713-foot-long boat dock. The city is hoping the extra 400 feet of dock space will bring more visiting boaters to the area and increase boating tourism in Long Beach. According to the Coastal Commission staff report, the existing dock is deteriorated and is insufficiently equipped to meet the demands of the boating public. The commission had actually approved a Coastal Development Permit for the dock replacement project in January 2008, but the construction never took place and the permit expired. The estimated $2 million project will include the dock replacement and extension, dredging near the additional dock area, pile driving for 12 new piles and installation of a pumpout station on the dock. The dock currently has two pumpout stations, but a third is now being added. The new dock will be 15 feet wide and will be located 11 feet seaward from the location of the existing dock, in order to prevent vessels from grounding at low tides. Sandoval said the funds for the project are coming from Long Beach’s Tidelands Fund, and a construction start date has not yet been set. The existing dock is currently used for short-term transient public docking and for the daily loading and unloading of workers from two private companies’ vessels. The private companies’ workers board the vessels at the dock once in the morning and unload once in the afternoon. While the Coastal Commission stipulated that the docks must be for public use only, they allowed the limited private use to continue, given the large size of the proposed dock.